In the interests of safety for both riders and motorists and to comply with the Department of Transport and Main Roads and Police Permits, RIDER SUPPORT VEHICLES ARE NOT PERMITTED TO FOLLOW THE RACE. The conditions of our event permits require that non-race traffic is able to approach and pass the convoys safely, which is made difficult by supporters’ vehicles queuing behind the race. ALL RIDER SUPPORT VEHICLES MUST LEAVE THE START VILLAGE BEFORE 8:50AM to allow you time to move along the course and park to watch the riders pass. Competitors are encouraged to leave warm-up clothing etc. with their race groups’ official spares vehicles and collect them at the finish village in Warwick. DRIVERS OF VEHICLES FOLLOWING THE RACE MAY BE FINED BY THE POLICE AND THEIR RIDER WILL BE DISQUALIFIED. No vehicles are permitted to park on the Victoria Street finish straight in either direction. Victoria Street will be intermittently closed to traffic as each group finishes. This area will be controlled by police, traffic control and race officials whose directions must be followed. Only official vehicles are permitted to park in the Finish Village. 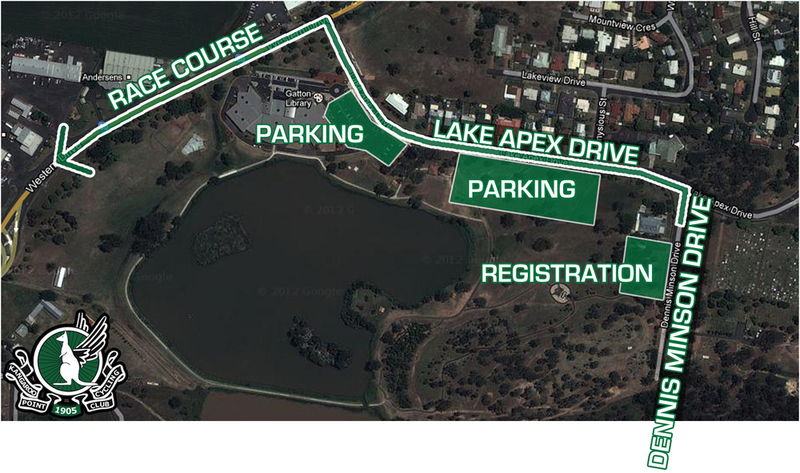 All support and spectator vehicles must find parking in the side streets off or beyond the Victoria Street finish straight.